Polycystic Ovarian Syndrome (PCOS) is an endocrine (hormonal) disorder, affecting between 12% and 21% of Australian women of reproductive age. It is characterised by polycystic ovaries (seen on ultrasound), hyperandrogenism (high levels of the male hormones testosterone and androstenedione) and anovulation (irregular or absent menstrual periods). 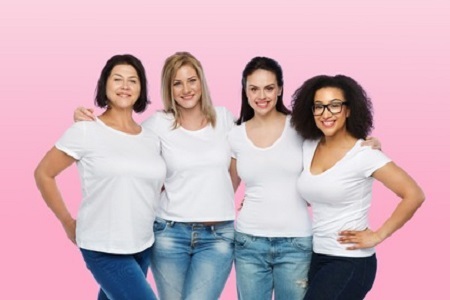 Many women ( around 20% of women of reproductive age) have polycystic appearing ovaries (PCO) but not all of these have the associated problems which mean that they have PCOS. Symptoms usually present during puberty or in the early to mid 20’s. Symptoms of PCOS usually present during puberty or in the early to mid 20’s although many women go undiagnosed for many years. The underlying cause of PCOS in most women is insulin resistance, a condition that also leads to the development of type 2 diabetes. When you have insulin resistance, the body’s insulin can’t do it’s job of getting glucose from the bloodstream (where it comes from the food we eat) into the muscles and cells properly. So the body responds to this by producing more and more insulin, to try to overcome the ‘resistance’. In women with PCOS, high insulin levels act on the ovaries and adrenal glands to cause them to produce more male hormones. In turn, higher levels of male hormones upset the hormonal balance, preventing ovulation.